On February 13, KySEA organized a Clean Energy Tour and Legislative Reception in Frankfort to engage legislators and members of the public about the importance and benefits of the Clean Energy Opportunity Act. The reception included a presentation by architect Kenny Stanfield about Richardsville Elementary in Bowling Green, Kentucky, the nation’s first net-zero energy public school. Richardsville Elementary was designed to use 75% less energy than a typical school and uses a grid-tied solar photovoltaic system to generate as much power as the school requires each year. Significantly, the school cost 20% less to build than a typical school before adding the solar PV. Even after the PV was added, the school still cost less to build. After more than a year of operation the school is performing as-designed and has no electric bills. The architect estimates that the school district is saving about $150,000 per year on energy bills, as compared to a conventional school. The reception attracted over 70 participants and 16 legislators and included an awards ceremony honoring those who’ve shown leadership and innovation in renewable energy and energy efficiency. Award recipients included Rep. Rocky Adkins, Kenny Stanfield and Warren County Public Schools (for the Richardsville Elementary School design), and Berea Municipal Utilities & City Commission for the Berea Solar Farm. Kentucky is sitting on a veritable goldmine of clean energy resources waiting to be tapped. Every corner of the state - from our farmlands to our cities - has the potential to be major players in clean energy, one of the fastest growing economic sectors in the U.S. today. All we need is a little help from our elected officials. They need to pass the Clean Energy Opportunity Act. The Act would encourage Kentucky’s power companies to expand clean energy and energy efficiency efforts across the state, creating thousands of new jobs and lowering utility bills for Kentuckians from Paducah to Pikeville. As the owner of a solar energy company based in Lexington, I have seen first hand how clean energy creates jobs and saves Kentuckians money. In our 6 years in businesses, we have installed solar energy systems on dozens of homes and multiple other buildings throughout the state. These systems help lock-in energy prices for our customers who had been facing ever-increasing utility bills. Thanks to growing demand for solar energy, our company has added eight new employees in the last two years. We are just one of many clean energy companies in Kentucky that are expanding operations, creating jobs and helping Kentuckians stabilize and lower their energy bills. But this is just the tip of the iceberg. Kentucky’s clean energy job market is nominal compared to surrounding manufacturing states like Ohio and North Carolina that have already passed legislation similar to the Clean Energy Opportunity Act. Today, Ohio is home to more than 9,000 renewable energy jobs and was second in the nation last year for solar panel manufacturing and installation. In fact, there are twice as many solar installations in Cincinnati alone as there are in the entire state of Kentucky. Clean energy has been so successful in Cincinnati that the city is considering purchasing 100% of its energy from renewable sources. Since 2007, North Carolina has added 15,000 clean energy jobs (a 30% increase every year) and created 1,200 new clean energy businesses. These numbers reflect the U.S. economy as a whole. According to a recent Brookings Institute report, as of 2010 there were more than 800,000 people employed in the clean energy sector, and during the 2008-2009 economic recession, the clean energy economy grew faster than the U.S. economy as a whole, expanding at a rate of 8.3%. A 2009 study by Pew Charitable Trusts found that between 1998 and 2007, clean energy jobs grew by 9.1% while overall jobs grew only by 3.7%. And in 2008, venture capital investment in the U.S. clean energy economy was $5.9 billion, a 48% increase over 2007 investment totals. Kentucky could get in on this action. According to report released last month by Synapse Energy Economics, passing the Clean Energy Opportunity Act could create 28,000 new jobs in Kentucky and keep electricity rates 8-10% lower than current projections. We don’t have time to lose. In 2010 alone, Kentucky lost $3.5 million in solar installation contract dollars to out-of-state companies for work done in Kentucky. And of the $12.5 billion in venture capital invested in clean energy from 1998-2007, exactly $0 was invested in Kentucky. We cannot allow these business opportunities and jobs to go to other states. We need to keep them where they belong – right here in Kentucky. According to a 2011 study by the Kentucky Office of Employment and Training, the majority of clean energy jobs are full-time positions that require no more than a high school education. These jobs also span all types of trades and professions – including construction workers, manufacturers, engineers, IT specialists, and building energy assessors. Passing the Clean Energy Opportunity Act wouldn’t just create jobs, it would also save Kentuckians millions of dollars on energy bills over the next 10 years due to expanded energy-efficiency efforts. This would be welcome relief to Kentuckians whose average electricity rates have increased 47% over the past 5 years, and especially to low-income households that spend more than 20% of their income on energy. It’s time we get serious about building Kentucky’s clean energy economy and pass the Clean Energy Opportunity Act. We can’t afford NOT to. Matt Partymiller is the Operating Manager of Solar Energy Solutions, a Lexington-based solar energy service provider. The answer is yes, according to research compiled and released this week by the health experts and the Kentucky Environmental Foundation. The “Health Impact Assessment on Coal and Clean Energy Options in Kentucky” is a review of health and scientific data and perspectives from Kentuckians on the specific health impacts – positive and negative – associated with our energy policy options. Health impact assessments (HIAs) are designed to be tools for government decision makers and other stakeholders when considering public policies that affect our health, but occur outside of the health sector. It turns out that energy efficiency and renewable energies from sources like solar, wind and hydro could have both indirect and direct benefits to public health. Much of the benefits of efficiency and renewables come in the avoidance of pollution created and released from fossil fuels and their chemical byproducts; pollution that is linked to heart and respiratory diseases, birth defects, developmental disabilities and even tooth decay. By contrast, wind turbines, solar panels and hydroelectric dams do not release any pollution. But some direct benefits include improved general health and increased productivity from home weatherization and less eyestrain, headaches and other illnesses from energy efficient lighting. With health care costs are high and getting higher, and Kentucky is among the least healthy states, we should be looking for every opportunity to improve our health. Recent polling data shows that Kentuckians want our legislators to prioritize public health improvements. Energy efficiency and renewable energy reduce pollution that makes us sick, and that’s a powerful reason to support clean energy policies for our state. Let’s encourage Kentucky legislators to consider clean energy policies as if our health really matters…because it does! You can find the HIA at: http://kyenvironmentalfoundation.org. Representative Mary Lou Marzian (D-Jefferson) filed the 2012 Clean Energy Opportunity Act! Be on the lookout for updates on HB 167 -- this year's Clean Energy Opportunity Act. You can visit the LRC website for progress updates, or stay tuned here on the KySEA website as we continue to show our support for strong clean energy policy in Kentucky! This entry is cross-posted from the Appalachian Transition blog, where it appeared 1/5/12. 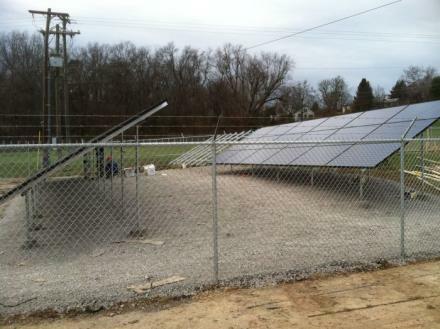 WEKU featured a story on the Berea Municipal solar farm yesterday, quoting Kentucky Sustainable Energy Alliance members from Solar Energy Solutions, MACED, and Alternative Energies Kentucky. We're thrilled to see the Berea solar farm up and running, and glad good coverage like this story (and yesterday's post about Rockcastle Regional hospital's solar installation) are helping to show that solar powers Kentucky. Congrats to all involved in this innovative, interesting project. In December, billionaire Warren Buffet made his first move into solar power, buying one of the world's largest solar farms, which is in California. Market watchers wondered if this was a sign that solar was coming of age, that it was no longer a "feel good" nod to environmental correctness but a sensible investment. Still, California isn't Kentucky and Buffet is hardly an average ratepayer. So, we looked at how solar was faring in the Commonwealth. For many, solar just makes sense. Every day enough sunlight falls on the earth to provide energy independence for years. Solar promoters say it's just a matter of capturing that energy and turning it into power that can run everything from light bulbs to play stations. Of course it's not as simple as it sounds. In Kentucky, it's even less simple. After all, people reason, this isn't the Southwest where the sun shines all year round. And coal has long provided us with some of the cheapest electricity in the world. "We started out with two of us part time and six years later there are now ten of us full time and we hope to continue to develop that. If we continue to develop the way we have we'll be at 20 next year and that'll be great." Partymiller says solar’s more competitive, even in Kentucky. "We are seeing the cost of solar come down, we are seeing the speed at which solar is installed improve and we are seeing electric rates going up. It's just a matter of time before we as an industry end up competitive." During his six years in the business, Partymiller says the cost of solar panels has been cut in half. His firm has just completed installing a unique solar system in Berea. The city-owned electric utility built a solar farm and offered shares to its customers. In the first phase, an array of 60 solar panels was installed outside the municipal utility building. For $750, utility customers can buy all the power generated by a single panel for 25 years. Berea's the first community in Kentucky and one of the first in the nation to offer this approach. It has several advantages for solar-inclined ratepayers. First, it doesn't matter if a house has good sun exposure. Second, it's cheaper because there’s an economy of scale. The cost is about $3.30 a watt compared to $5 to $6 if installed on a home. Third, if ratepayers move within the utility's service area, the credit on their bill moves with them. Fourth, if they move outside the area, they can simply sell the balance of their leases to other customers. No one was prepared for the reaction when the leases went on sale. Josh Bills, who’s a consultant with the Mountain Association for Community Economic Development, helped Berea design the system. "It was really quite shocking to everybody involved, the utility, the contractors, the public, the council that the system leased out so quickly. There are 60 modules, there's a limit of two modules…..and in four days all 60 leases were subscribed." The first array, as a group of solar panels is called, cost about $64,000 installed and was financed in part with federal stimulus money. Encouraged by the strong sales, Berea used the money from those leases to begin construction on a second array that is also selling rapidly. Cool as this all sounds, customers are still bidding on a long payback. Assuming electric prices increase at the rate of 10 percent a year, it will take Berea ratepayers 23 years to recover their $750. For companies and individuals who can take advantage of tax breaks or subsidies on their projects, the payback could shrink to 8 to 10 years. With no moving parts, solar installations have limited maintenance, so the cost of electricity remains virtually the same over the entire life, which can be well over 25 years. 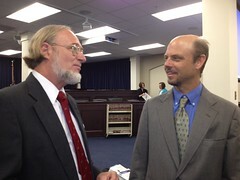 John Cotten directs marketing for Alternative Energies Kentucky. It’s a Danville firm that manufactures and installs solar panels. "It isn't dirt cheap, we're not going to tell anybody it is. You are making a longterm investment. It's no different if you were building a room addition on your house, you're not going to get the money back until you sell your house. In this case, though, you are going to start getting a return as soon as we turn the power back on….and that investment is going to last 25 to 50 years." Cotten says the long payback is not as big an issue as whether there's enough sunlight in this sometimes gray state to make solar worthwhile. "There is plenty of sunlight in Kentucky. That's a really large fallacy. We could probably retire with our company for every time we've heard that from different people but it's really not true. …actually the largest solar nation in the world right now is Germany. Germany's productive sunlight average per day is about 2.2 to 2.8 hours a day, Kentucky's runs anywhere from about 4.5 to 5.5 hours a day." The problem in Kentucky, many experts say, is that we’re energy hogs. Conservation, they say, is the first and cheapest approach to reducing energy costs. "The first thing I tell everybody is do the easy things first. Tighten up your windows, get your insulation where it should be in your attic and your walls, do the caulking, do the steps that you should take to improve your energy efficiency. Then, if you have funds left over, this is one of the best longterm investments you can give to yourself." For Whitman, it's all about taking control of your energy future. "I've been an electrician for over 35 years and I've been involved with solar for a little over a year….i think the key for the future is energy conservation…American's like to be empowered. If you realize that you could install a solar system and tie it into your home and see the savings and see the other ways you can save, I just think it's a way to empower people to do what you should be doing anyway." Look out for HB 167! I became a Meter Geek the day I hooked up the PV system on my own house. I just stood there watching the numbers bounce around. Dan joked: “Where’s Sam…? Oh, he’s over playing with his inverter.” I still check it every day or so. And then there’s Don. (We installed his system a couple of years ago.) He had one of the old rotating wheel meters. He called me up one day to tell me that, with the sun shining and just the right number of lights on and the coffee maker brewing, he could run outside and watch the wheel come to a perfect balance. It tried to edge one way or the other until the coffee was ready, and then it resumed its backward march. He used to invite friends over just to stand outside and watch it with him. When you install solar, you get rewired. You pay attention to things you did not notice before. You watch what the clouds are doing, how the shadows play, and wonder how many kilowatt-hours you’re likely to produce today. You think about the sun bringing life into your home. More importantly, you think about where the new energy is going. It’s yours – for free – but there’s only so much and you don’t want to waste it. You want to have enough for how you live but you want to live by what is there. The most important thing about being a Meter Geek is that you begin to see energy as energy – not just as a bill you have to pay. You stop converting it into dollars. It falls on your roof, you gather it up, and turn it into lighting, music, vacuum cleaning, computing, televiewing, or coffee brewing. You’re not buying anything – and not mining or burning anything, either. And you’re paying attention to how energy flows through your life. If you don’t have a way to produce energy and you’re trying to conserve, it’s all yin and no yang – it’s all going one way and you’re trying to slow it down but you can’t make it stop. But when energy flows both ways you see the yin and the yang. You feel the balance. The reason I’m raising this topic now is that I am about to have the consummate Meter Geek experience. The day I installed my system – the day I became a Meter Geek – my electric meter read 3432 kilowatt-hours. That was November 2007. The PV system has been cranking out kwh ever since, more than I have been using, and today, Aug 25 , the meter reads 00008. By the time you read these words it will have gone to 00000, and I have no idea what happens after that! It’s another Y2K. I’m a little afraid it will read 99 million or something, and some computer will spit me out a bill for $ 9 million or so. I have no idea. I’ll be finding out soon, but you won’t find out until…. About half of KySEA member groups attended a meeting in Lexington on Monday, November 7th, to discuss the upcoming 2012 Kentucky legislative session. Thirty three representatives from 23 KySEA member groups participated in lively discussion about how to move the Clean Energy Opportunity Act forward this session and about how to support other opportunities that might arise to advance clean energy in the state. The group heard preliminary findings about a Health Impact Assessment from the Kentucky Environmental Foundation, which shows the health advantages for Kentucky of moving to clean energy. Curtis Stauffer, of Metropolitan Housing Coalition, also presented about a recent report from the Metropolitan Housing Coalition, entitled the 2011 State of Metropolitan Housing Report. It looked at a variety of factors surrounding affordable housing in the Metro Louisville area, focusing particularly on approaches to providing fair and affordable housing that uses less energy. He showed the graphic above to highligh that denser housing types in transit oriented developments are significantly more energy efficient than less dense housing types in suburban style development. And, green, energy efficient building practices- significantly reduce home energy use in all types of developments. Those present at the KySEA meeting agreed that Kentucky needs better solutions both in building new homes and retrofitting existing homes in order to lower people's energy bills. With electricity rates rising across the state, this will be a topic of much consideration during the next session. And the Clean Energy Opportunity Act, supported by KySEA offers some of those solutions.